"The site has national and international importance, not only Scottish. It is one of the few places that openly speaks about the horrifying effects of the Highland Clearances that affect Scottish culture to this very day." The 273rd commemoration of the Battle of Culloden, April 13, 2019. "If it secures World Heritage Status, Culloden would join six other elite historic sites in Scotland - The Antonine Wall, Heart of Neolithic Orkney, New Lanark, Old and New Town of Edinburgh, St Kilda and the Forth Bridge. In an interview with the Inverness Courier to mark the 273rd anniversary of the battle, Mr Curtis-Machin of the NTS, said it could be the only “sure fire way” of halting development in the future." Campaigners from the Group to Stop Development at Culloden (GSDC) were present, with activist Carolyn Seggie laying a wreath at the cairn. She said: “It was a memorable day, very emotional and a tremendous honour to lay the wreath. As the 273rd anniversary of the Battle of Culloden approaches (editor's note: it's April 13), momentum is growing to seek Unesco world heritage site status for the battlefield. The National Trust for Scotland has launched a public consultation which aims to ensure the long-term protection of Culloden Moor, the site of the 1746 battle. The National Trust for Scotland is launching a public consultation which aims to ensure the long-term protection of Culloden Moor, site of Britain's last pitched battle in 1746. The landscape has recently become the scene of another conflict with developers pushing forward plans which encroach on the site. The heritage charity says current legal safeguards do not protect the area, and the fear is that unsympathetic development with plans for housing and businesses will ruin the historic landscape forever. This new proposal is for conversion of the existing TreeTop equestrian centre, which has little intrusive impact, to enable construction of holiday, leisure and hospitality facilities, including 13 lodges, a cafe/shop, reception building, laundry and restaurant. 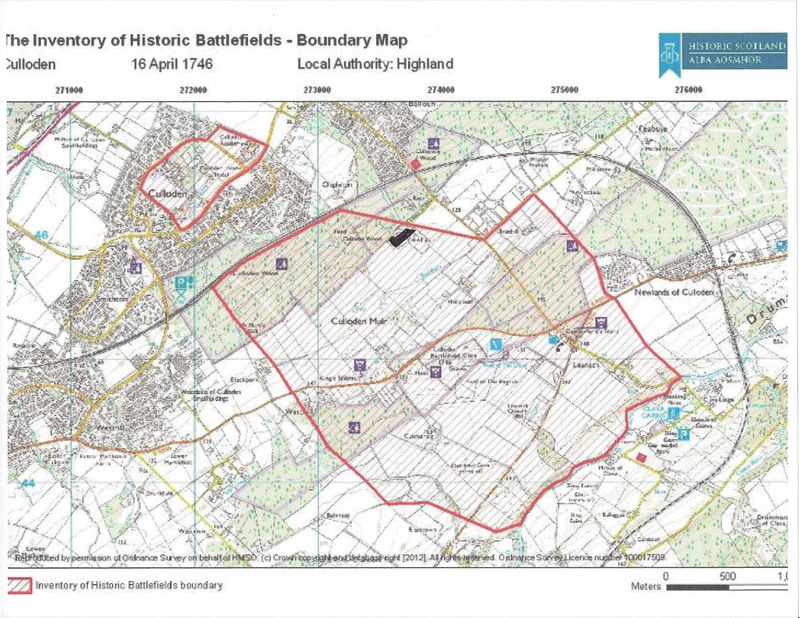 Diarmid Hearns, the (Scottish National) Trust’s head of policy, said: ‘This will be the first big test of the council’s initiative to try and protect what remains of historic battlefield and its setting through a conservation zone. NOTE: The planning decision on Treetops has been delayed again, potentially up at next SPAC meeting 30th April. 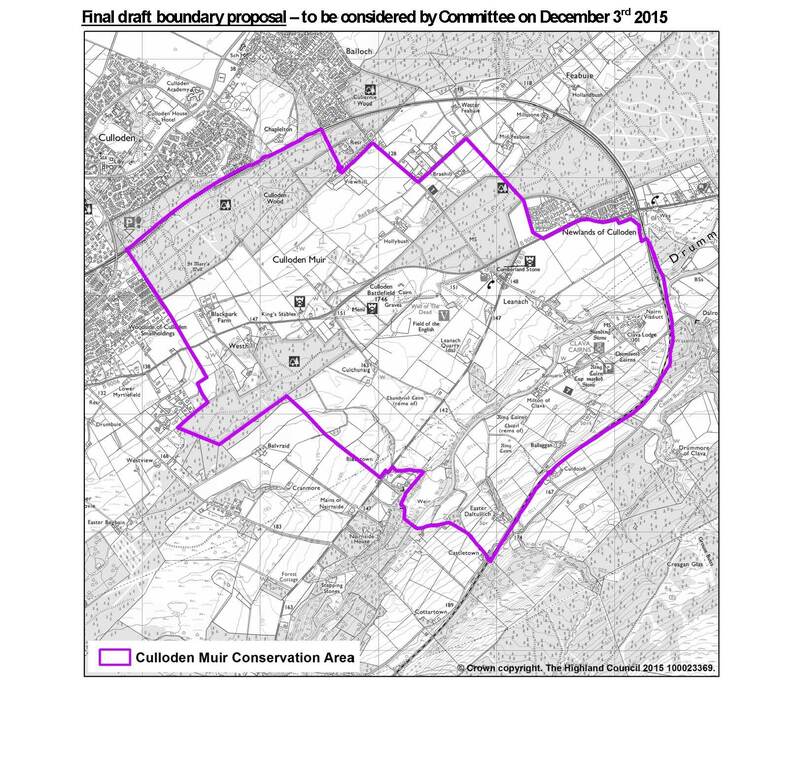 Sadly in a January planning meeting a couple of councilors made an issue out of the fact most of the objections they are receiving for these Culloden Battlefield planning applications are coming from outside the area, i.e. not in Highland region even. One even seems to think anything outside the NTS enclosure wasn't important, wasn't even on the Battlefield. A disgracefully ignorant admission. We can't allow that argument to stand in an area of national importance, but we can't impress on you enough, the importance of locals getting involved. So, we are at a pivotal point in the existence of the group. If this application is passed it means the councilors have been browbeaten and we are defeated. Does this image fit comfortably within the context of a Scottish War Grave, inside the Inventory Boundary and Conservation Area of Culloden Battlefield? The photo, above, is an example of one of the thirteen holiday lodges, proposed for Treetops together with a 100-seat restaurant, laundry, reception etc. Have you objected to planning application 18/01399/FUL? From the Architects: HRI Munro. . . "Preliminary imagery of our new Treetops lodges near Culloden, part of a new visitor / restaurant project currently in the planning process. Each elevated lodge will provide luxury space for 2-4 visitors, a secluded pinewood setting and an outside hot tub!" Treetops Riding Stables wants to convert their rural property into 14 holiday chalets, add a 100 person restaurant and several outbuildings. This project is within the 2015 Conservation Area and within the Battlefield Boundary! This is just "down the street" from the entrance to the Battlefield. Developers are aiming to transform the former Treetops Riding Centre at Balloch into a visitor destination featuring 14 “high-quality” holiday lodges, a 100-seat restaurant, shop and cafe. GSDC member, Paul Jamieson, offers his video taken on Culloden Battlefield October 4th...accompany him on a Battlefield walk to the construction area of the 16 houses at Viewhill Farm on a rainy Highland day! Three miles from the sleepy Scottish town of Culloden lies an empty field where the final battle of the Jacobite Rising took place. This year it was the site of a very different battle, one that could have far-reaching implications for planning. Just over six months ago, Culloden locals lost their fight with developers over permission to build 16 homes on the historic battlefield site. The local council had refused to grant the developer planning permission, but the Scottish government overturned this decision after the developer appealed. This is what 72,000 signatures on our petition looks like! 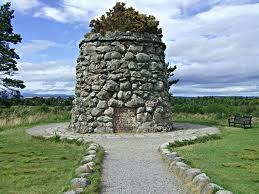 NO HOUSING DEVELOPMENT AT CULLODEN BATTLEFIELD! The Admin and members of GSDC, and all who sign this petition are very concerned that this land will disappear under houses and pavements; thus creating an irreparable scar on Culloden Moor and ultimately will generate disrespect towards those who died and lie buried under its unforgiving moorland. The building of 16 luxury houses at Viewhill farm would convert the existing agricultural land use to suburban, subdivided parcels. Probable widening and extensions of roads accessing this property do not comply with the Culloden Muir Conservation Area. If allowed, this development will affect the area in a dramatic, negative way. Increased traffic, street lighting, issues with drainage and unsightly rooflines, and increased residential noise will greatly affect the Battlefield experience. The area will lose its ability to convey a sense of historical and cultural significance, as a memorial, in which to sit and contemplate, as a place of connection for millions of people around the world. could potentially bring you great acclaim and honours. If you were to donate the land to the National Trust for Scotland, or another charity of equal standing, we assure you that we would make as much of that story, as we have done with the potential desecration of the land by building houses on it." Map created by Historic Scotland to indicate the area of historical importance at Culloden Battlefield. Note that Viewhill Farm is in black and in the protected area! Map of the 2015 Culloden Muir Protection Area indicating that the battle took place over a much wider area. Note that Viewhill Farm is in this protected area! WHAT IS THIS ALL ABOUT. . . In 2011, an Inverness property developer presented plans to Highland Council for a 16 unit housing development at Viewhill, just 400+ metres from Culloden Battlefield. The proposed development was rejected by Highland Council. The Developer appealed. The matter was then decided by a Government Appointed Reporter who ruled in favour of the Developer. This Group was formed to protest the plans to build the 16 houses. We gathered information, data, maps and legislative references which left no doubt as to the historical significance of the battlefield and the area beyond and, its importance on a National and International level. The new designated Protection Area of 2015 enlarged the protected zone but does not include Viewhill as permission to build was granted in 2014. Building houses on that site is deeply disrespectful. It is part of a war grave. The building of 16 houses at Viewhill converts the existing agricultural land use to suburban, subdivided parcels. Possible widening and extensions of roads accessing this property do not comply with the Culloden Muir Conservation Area and if allowed will further damage the area. This is not an appropriate use for this land. …………………………………………..the fight is NOT over! See what Culloden Battlefield might look like if development is allowed to take place! A video by a member of the Scottish Diaspora now living in Australia. Two years and more have past since the news was broken. Houses to be built on Culloden moor and then the world it was outspoken. Yes, people from around the globe just could not understand. What does posses those corporate minds, that they would desecrate our sacred land. New laws were passed by government that would give it more protection. Which meant to us that there would be consultation before any house erection. But those unscrupulous business men with there eyes set on the brass. Find loopholes in everything, even the laws that the government pass. So here we are today and the problems are still looming. And believe me when I say, Scotland it should be fuming. They want to wipe away our history, while all we can do is lament. As they cover it up with houses aye, tar macadam, bricks an cement. Gaelic Society Chief, Prof Hugh Cheape, addresses the gathering at the 2016 Memorial Service and Mgr. Maoilios Caimbeul reads ‘Latha Chùil-Lodair’ / ‘Culloden Day’ by Iain Ruadh Stiùbhart. 'Presenting' or 'lining' is very much part of Gaelic Culture. The presenter sings the line, the congregation sings the line after him. Here is a video of the remembrance service at Culloden.